Roco 72018 Diesel locomotive 333 716 LokomotionDiesel locomotive 333 716 of the Lokomotion, Epoch VI. The railway company Lokomotion from Munich uses the locomotive of the series 333 also for shunting services at goods stations. The Köf III with the operation number 333 716 was completely revised and overhauled in 2017. 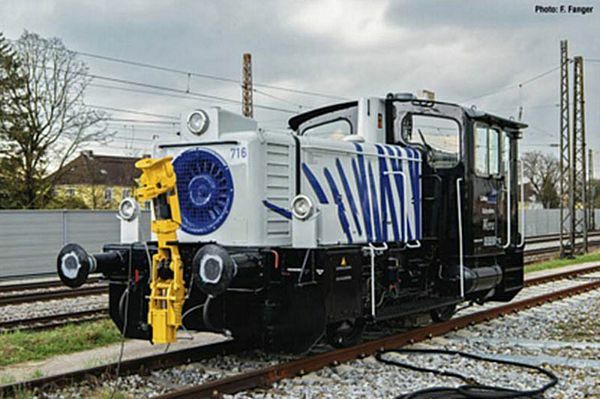 The locomotive which initially operated for the Deutsche Bundesbahn, presents herself today in a fresh white colour with blue zebra stripes. The two-axle locomotive can be also discovered at the passenger station München Ost when she provides shunting services. There the locomotive is used for car shuttle services of former private providers and hauls holiday passenger trains.